I want to take this opportunity to thank all students and their families for being part of the ELITE community. Whether you’ve been with me for 25 years or 2 weeks, I value you and your contribution to our dojo. A few years back I made a strategic decision to relocate at the Kids Kingdom location and we’ve been here for just over a year. Unfortunately, over the past few months it has become clear that continuing down this road is not feasible for the long run. This has caused me to take a step back to evaluate the current state of our dojo and determine the necessary steps required to ensure ELITE is on a path that will see it grow and flourish for the long term. I have dedicated my life to teaching karate, it is my passion and there is nothing more rewarding than to see my students grow and become the best person that they can be. It is for that reason that I have decided to initiate a period of transition to ensure that I can continue to invest my time and resources to maximize the positive impact ELITE can have on the students and their families. Though reflecting on this has not been an easy process it has taken me back to the reasons I do this in the first place and it has reignited my passion and I am moving forward with a renewed commitment. I will be reevaluating and restructuring the program and investigating a variety of options for the new location. I am hoping that these changes will help me ensure that I am giving our dojo the love and attention it deserves. To begin this period of transition, we will be relocating to St. Mary’s Hall located at 1171 Smith Rd, Navan ON K4B 1N7. 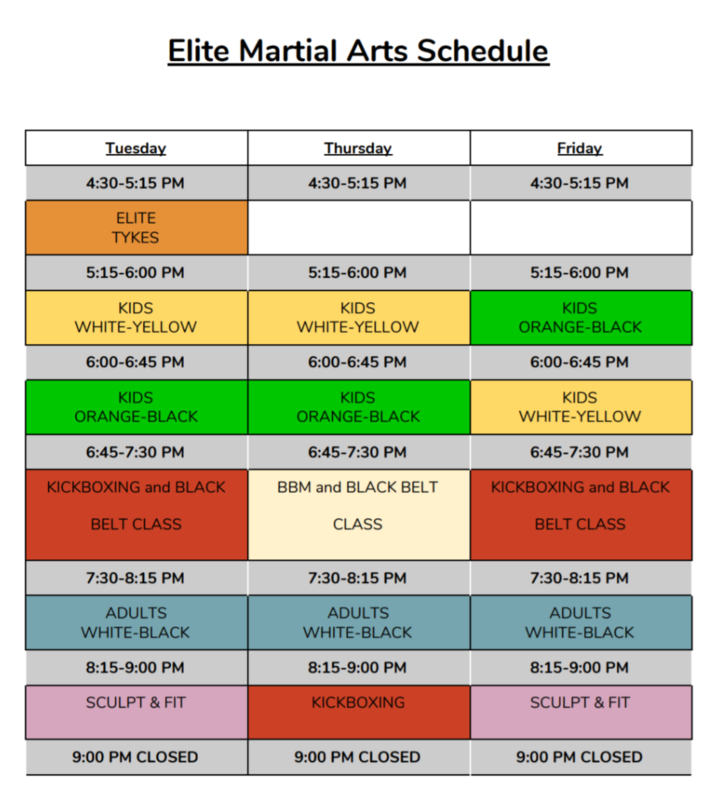 We will have classes on Wednesdays, Thursdays, and Fridays and we will be able to also teach the Elite Tykes Class on Saturday Mornings at 8:15 a.m. We will send more specific times for the classes in the next couple of days, as we restructure the schedule to allow everyone to still attend 3 times per week. Please Note: We will be moving to the Hall in Navan over the weekend and during the first week of November and classes should resume Wednesday, November 8th. The last class at our current Kids Kingdom location will be Saturday, October 28th, 2017. As we all know, change is not always easy but I truly believe that through this transition it will bring the ELITE family closer together and we will be better for it. I commit to you to provide as much information as possible through this transition and I invite you to approach me with any concerns you might have.